I Want To Read That: Review and Giveaway: Scarlett Dedd by Cathy Brett. 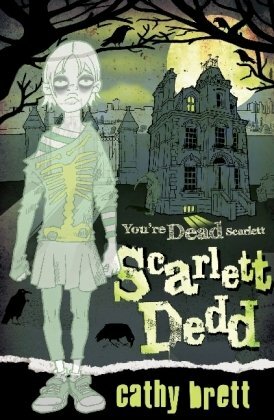 Review and Giveaway: Scarlett Dedd by Cathy Brett. I liked how the story was written in third person. This worked well as it meant we get to hear from all the characters - I really liked the banter between her friends as well as Scarlett's interactions with her family. 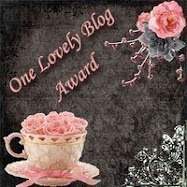 We also get the added bonus of Scarlett's blog - I loved these excerpts and her voice. The story itself was good fun and I loved all the ghostly shenanigans - all superbly brought to life by Brett's wonderful illustrations. I really love the combination of text and illustrations and think it works extraordinarily well to create a book that is unique and appealing. There is definitely a quirkiness in the overall package, as well as in Cathy Brett's writing that makes this really fun to read. I must say I did get a few strange looks while I was reading pages 164 and 165 and had to turn the book around in circles to read it but I really enjoyed that aspect of it - it made the book feel interactive and a slightly different reading experience. I'm hoping this might become a series as I would love to catch up with Scarlett again. In the meantime, I think I will have to get myself a copy of Ember Fury to enjoy! Deadline is 31 August 2010. Prize will be sent out by me. THIS CONTEST IS NOW CLOSED AND THE WINNER WILL BE NOTIFIED SHORTLY. Ember Fury is brilliant. You should definitely get yourself a copy. I enjoyed this one too, though pages 164 and 165 were pretty hard to read! I loved Scarlett's friends too, what cool names they have! yes, part novel, part comic, you'll enjoy EF! This definitely deserves marks for originality! This sounds like a BLAST and I love the cover! This does sound really fun, and I love the sound of the quirkiness to it. Great review, Sammee. I'm intrigued! I'm hearing good things about this novel, and your review has made me even more intrigued. 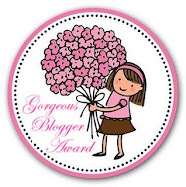 This is a cool blog and a great giveaway idea, so big thank you.